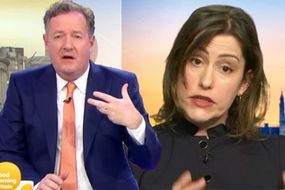 Stanley appeared on Good Morning Britain today alongside Julia Bradbury to debate whether cyclists should have number plates. However, talk quickly turned to Brexit and Piers Morgan was keen to know if Stanley believed his son Boris could be Prime Minister. “I am all in favour of killing Mrs May’s deal,” Stanley replied, dodging the question slightly. “That is what everybody should be concentrating on at the moment, is the lost deal. Something needs to happen. “I am keen for that deal to go down,” Stanley concluded.